As i have up until recently not had anything to do streaming with, i had ignored the question. However armed with my new, Nokia Lumia 820 (in black) i decided to try it out, perhaps predictably, it worked first time. I then decided to try out Mattmatics theory about it requiring a port to be open. There being only one of two choices here, 80, or 443. We know 443 is required for logging in, but i had to be honest dismissed 80 as an irrelevance only necessary if users were unable to actually type HTTPS:// in their browser. So in the office here we have our Wireless Access Point hooked up to a Switch, that has port mirroring capability. I configured the switch to send all traffic from the WAP to a port that my laptop was plugged into, and i setup WireShark on my laptop. The result of this is that i can now see all the traffic coming from my phone ( did you know the Nokia Lumia 820 has wi-fi) that is heading for my Essentials server. I ran a capture of the logon process, and saved that in case i needed to review it later and cleared the capture screen. Then i did the same for browsing through the App to the media folder. Finally i got to the point where i was ready to stream a file. At this point i closed Port 80 on my router. 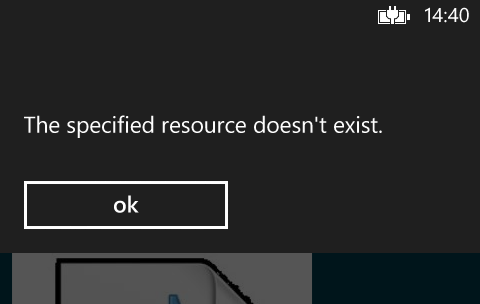 I attempted to play the file, and was given a ‘the specified resource doesn’t exist’ error. Humpf, i said. It does exist, ill show you and i proceeded to point at the file in windows explorer. of course my Nokia Lumia 820 couldn’t see that, but i felt better. I had all this captured in WireShark as well just for good measure. 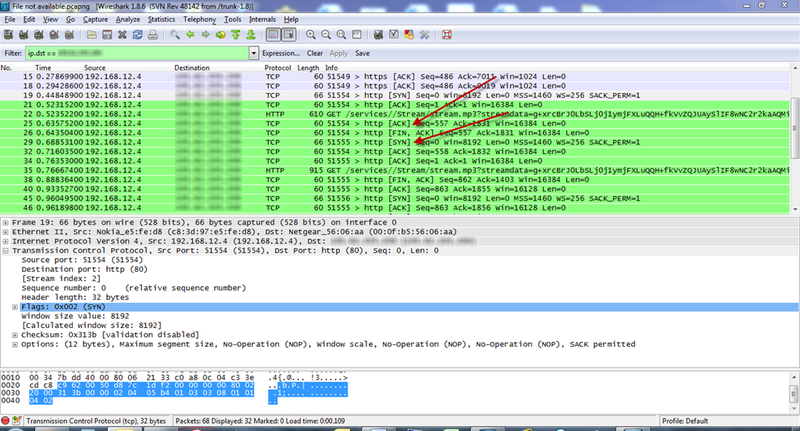 You can see here a continuing stream of ACK, FIN, SYN packets as the My Server App tried to contact the WSE box. I saved the capture and cleared the screen. So i opened up port 80 again, and this time i attempted to play the track. 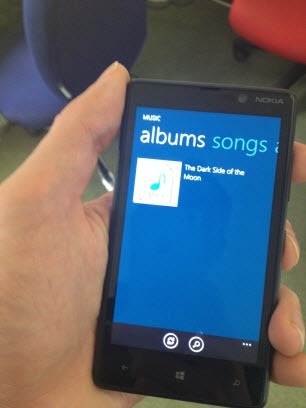 This time the music burst into life, The Nokia Lumia 820 has an impressive set of speakers on it. Excellent personal audio system. I streamed a few seconds and hit stop. The difference here in the captures is easy to see (and hear) with a long stream of ACK packets coming through. I then closed Port 80 again and cleared my capture. This time i attempted a different track, but again was told it does not exist. I believe this to be proof that Media Streaming on Windows Server 2012 Essentials, will require Port 80 to be open. Now of course that is not the be all and end all of Troubleshooting streaming with Essentials, but hopefully it will give you some ideas on where to start. A little more about my setup.. If you need any more assistance please post up to the Essentials Forum. 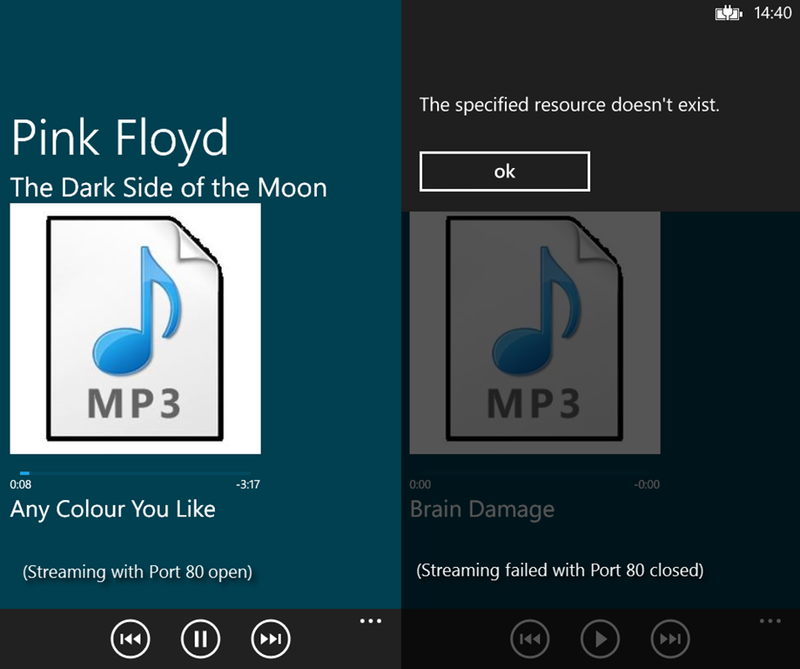 2 Responses to Windows Server 2012 Essentials : Media Streaming Problems? had to wait for the contract renewal.